Electricians are needed because they’re responsible for installing, maintaining, and repairing the lighting, control, power, and communications systems of factories, homes, and businesses. 1 As with other industries, electricians adhere to standards to make sure their work is done correctly and safely. For electricians, the standard is the National Electrical Code (NFPA 70). Learning this code is part of electrician training. For over 150 years, the National Electrical Code (NEC) has outlined the procedures that professionals need to follow to prevent the incorrect installation and maintenance of electrical wiring and equipment. The NEC provides standards for the design, installation, and inspection of electrical equipment. 2 The Committee on the National Electrical Code created this important electricians’ guide. The National Fire Protection Association (NFPA) and the American National Standards Institute certify it as a national standard. Is the National Electrical Code a Law? In places where the National Electrical Code is law, following it is not only a matter of safety but also of legal liability. Electricians could be penalized for not following the code. They could also face lawsuits if they don’t adhere to the code and someone is injured or property is damaged as a result. How to Learn the National Electric Code? Learning the National Electric Code is often part of electrician’s training. At The Many vocational schools that have an Electrical Technologies Training program teach it as a part of the curriculum. In addition to studying NFPA 70, students also learn about the fundamentals of electricity and residential and commercial wiring. Jobs for electricians are expected to increase by 14 percent through 2024 according to the Bureau of Labor Statistics. This is much faster than average. 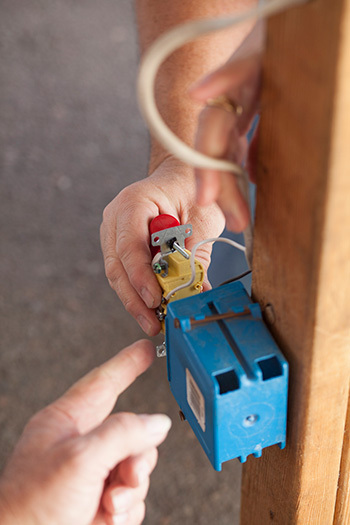 This demand makes sense when you think about the pivotal role electricians play in connecting the electrical wiring for everywhere from large cities to small towns. With the help of the National Electrical Code, electricians ensure that people can live and work safely in homes and buildings.